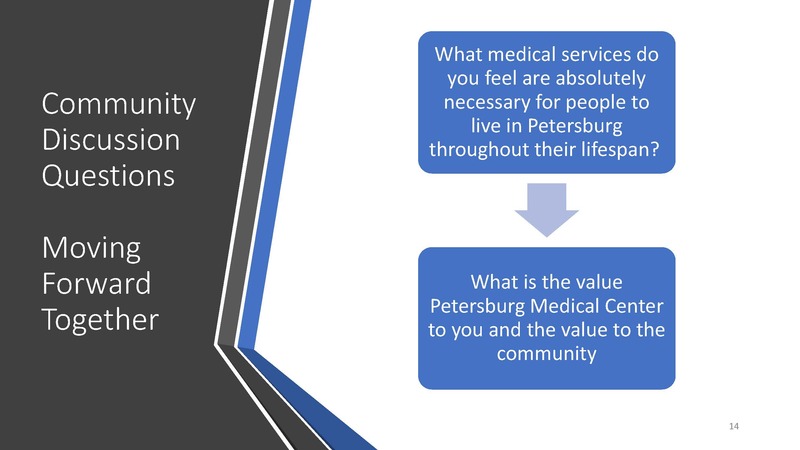 Often the best ideas on community healthcare come from community members themselves—especially when they are engaging in active discussions with healthcare providers and others. 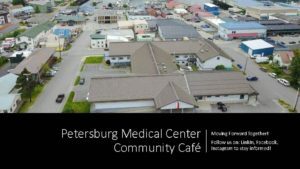 That’s the idea behind community cafes, sponsored by the Alaska State Office of Rural Health (AK-SORH), which are being held in small towns in the state. “Last spring we told all our Critical Access Hospitals (CAHs) that we can come to their communities to facilitate a conversation on whatever topics they want,” said Heidi Hedberg, AK-SORH Director. Petersburg Medical Center (PMC) in Petersburg, a small town on an island in southeastern Alaska, was the first to sponsor a community cafe last November at the Petersburg Public Library. Jeannie Monk, Vice President of the Alaska State Hospital and Nursing Home Association, spoke on the changing landscape of healthcare in rural communities and how communities must pivot to accept these changes. Phil Hofstetter, PMC CEO, added his perspective following Monk’s presentation, Hedberg said. Hedberg called the first community cafes “a fantastic start,” especially since they included a wide swath of community members. “It enabled us to see where their knowledge base was so that we can target our education and further that conversation,” she said. The first cafes were such a success that AK-SORH was invited back to PMC in February to do another, this time on the promise of new telehealth offerings. The group experienced a tele-psychiatry visit through a camera, Hedberg said, then broke into smaller groups to answer questions including “what types of services are you looking for?” and “how much would you be willing to pay for these services?” Since then, PMC has launched tele-psychiatry services. PMC helped advertise the cafes by making posters and putting them in local venues and promoted them on their weekly radio session and their website, which helped lead to their success, Hedberg said. “This is not a new idea—it’s just how you organize it,” Hedberg added. “Consensus meetings, listening sessions, community cafes— there’s all different types of them, but for small rural communities, the cafes are a great way to have a structured format to both educate and receive feedback on any topic.” AK-SORH funds its community cafe work through Flex money for travel, and SORH money for staffing time, she said. 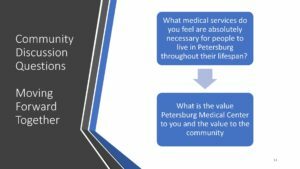 Since the cafes that were held in Petersburg, other communities have expressed interest in them, she said.